There are seven sacraments in the Catholic Church grouped into three categories – the Sacraments of Initiation, the Sacraments of Healing, and the Sacraments of Service. This page provides information on sacramental preparation. Beyond preparation for the sacraments, it is vital that Catholics live a sacramental life and seek to better understand their faith. As a result, the resources on this page are beneficial both for those learning about the sacraments for the first time, as well as to be able to have a deeper understanding. Many of the resources are from Formed.org, to which our parish has a subscription allowing parishioners with free access to the content. Multiple resources cover the same or similar topics; explore to find which resources are a good fit to your stage in life and learning preferences. Aside from the sampling of resources highlighted, there are many other valuable resources available, so you are encouraged to explore the site. The following Diocese of Baker documents provide additional context for the sacraments: Pastoral Guidelines and the Catechetical Guidelines and Norms for Sacramental Preparation. The sacraments of initiation provide a foundation for the “vocation to holiness and to the mission of evangelizing the world” that all of Christ’s disciples have (CCC 1533). We follow the Baker Diocese Pastoral Implementation for Sacraments of Initiation. Children prepare for the sacraments through religious education, youth group, and preparation programs, while adults participate in the Rite of Christian Initiation for Adults (RCIA). The specific plan for preparation is determined on a range of factors, which is outlined in the pastoral guidelines for the diocese and includes whether or not the person is baptized, catechized, and has use of reason. Parents and godparents play vital roles in the process of initiation into the faith. Parents are the first and primary educators for their children (i.e. CCC 2223, CCC 2224 and CCC 2226). Committing to be a godparent is agreeing to nurture the faith development long-term. Godparents need to be at least 16 years old, Confirmed, and in good standing with the church (see additional details on page 5). “Holy Baptism is the basis of the whole Christian life, the gateway to life in the Spirit […], and the door which gives access to the other sacraments. Through Baptism we are freed from sin and reborn as sons of God; we become members of Christ, are incorporated into the Church and made sharers in her mission” (CCC 1213). 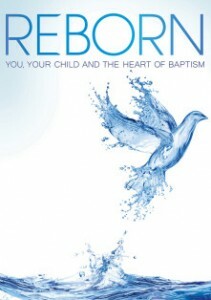 Reborn is a comprehensive program from the Augustine Institute focusing on Baptism. The three sessions explore: 1) a deep understanding of Baptism in the context of Salvation History with links to the Old and New Testaments, as well as Sacred Tradition; 2) a step-by-step explanation of the Rite of Baptism, providing the deeper significance behind each prayer and action in the process; and 3) an explanation of how parents and godparents can live out their vital roles. In addition, there are bonus sessions focusing on Catholic parenting, the role of Godparents, and a training for Catechists. Also available in Spanish: Renacer. 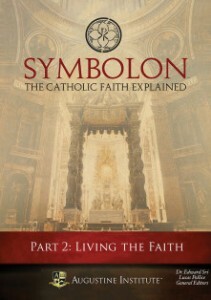 A supplemental resource on Baptism is session 1 in part 2 of Symbolon (also from the Augustine Institute). The session provides an overview of all Catholic Sacraments followed by further explanation of Baptism and Confirmation. Also available in Spanish. YDisciple: Living the Creed Session 1 is the same Symbolon session repurposed for a teen audience. Another resource from Augustine Institute and geared toward teens is YDisciple: Sacraments. Session 2 answers many common questions about Baptism. “The sacrament of Confirmation is necessary for the completion of baptismal grace” (CCC 1285). Linking back to Pentecost, through Confirmation, candidates receive an “outpouring of the Holy Spirit” (CCC 1302). Confirmation “roots us more deeply in the divine filiation, […]; unites us more firmly to Christ; increases the gifts of the Holy Spirit in us; renders our bond with the Church more perfect; [and] gives us a special strength of the Holy Spirit to spread and defend the faith by word and action as true witnesses of Christ, to confess the name of Christ boldly, and never to be ashamed of the Cross” (CCC 1303). Aside from Confirmation as part of the RCIA process, we have a program that prepares youth for Confirmation on a 2-year cycle. We encourage youth who have been engaged in faith formation through the religious education program to prepare for Confirmation as close to 6th grade as possible. Symbolon Part 2: Session 1 discusses Confirmation alongside Baptism, as it is a natural extension of the graces received at Baptism. YDisciple: Living the Creed Session 1 is the same Symbolon session repurposed for a teen audience. 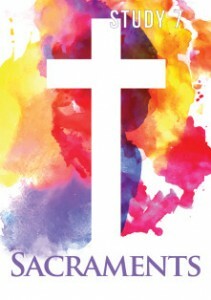 Also for youth, YDisciple: Confirmation is an informative resource with 5 sessions addressing: the power of the Holy Spirit, the Holy Spirit in Scripture, the link between the Holy Spirit and the mission of the Church, the gifts and fruits of the Holy Spirit and the rite of Confirmation. 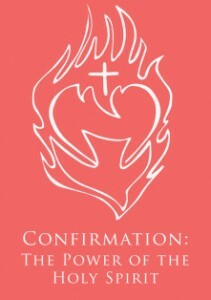 Dynamic Catholic also offers a free Confirmation preparation program geared toward teens, Decision Point. 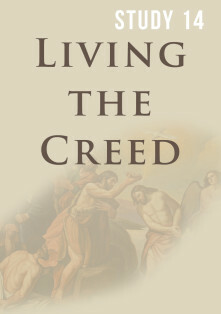 It is a 12-session program with topics such as: prayer, sacraments relationships, mission, and holiness. The intent of the program is to provide a solid foundation for young Catholics to make applications to their daily lives long-term. Though it was created with youth in mind, adults can also benefit from the program. Jesus instituted at the Eucharist at the Last Supper, and it is “the source and summit of the Christian life. The other sacraments are […] bound up with the Eucharist and are oriented to it. For in the blessed Eucharist is contained the whole spiritual good of the Church” (CCC 1324). As Catholics we believe in the true presence in the Eucharist – that it truly is the Body and Blood of Christ. Aside from First Communion as part of the RCIA process, we have a preparation program for youth to receive First Holy Communion each year. We encourage children to receive the sacrament for the first time when they are in second grade; however, preparation begins in first grade. Especially after receiving the Eucharist for the first time, Catholics are encouraged to make the Mass an integral part of their lives, attending Mass each weekend at minimum. Mass is available almost daily in our parish. Symbolon Part 2 sessions 2 and 3 focus on the Eucharist and the Mass, while the YDisciple Living the Creed sessions 2 and 3 deliver the content in a format more accessible to youth. Session 2 in each of the programs explains the belief vital to the Catholic faith about the Real Presence of Jesus in the Eucharist. This session is especially helpful for Catholics who do not feel they have sufficient background to explain this belief or for those exploring the Catholic faith to have a detailed explanation of this central belief. Also available in Spanish: sessions 2 and 3. 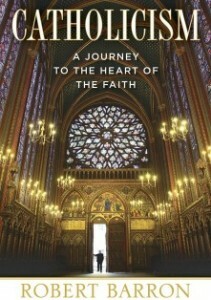 The Catholicism series by Bishop Robert Barron focuses on the Eucharist in session 7. Aside from explaining and giving a context for the Eucharist like the other programs, Bishop Barron also shows a global perspective, capturing the universality of the Catholic faith. Also available in Spanish: Catolicismo. YDisciple Sacraments Session 3 also focuses on the Eucharist for youth with Fr. Mike Schmitz as the presenter. This session also focuses on being able to understand the Eucharist as a mystery and the greatest blessing. The Catechism of the Catholic Church provides a context for the Sacraments of Healing, “Through the sacraments of Christian initiation, man receives the new life of Christ. Now we carry this life ‘in earthen vessels,’ and it remains ‘hidden with Christ in God.’ We are still in our ‘earthly tent,’ subject to suffering, illness, and death. This new life as a child of God can be weakened and even lost by sin” (CCC 1420). Through these sacraments, we can remember that Jesus Christ, our Lord, is the “physician of our souls and bodies” (CCC 1421). Viewing the sacraments of healing through this lens can help Catholics to embrace the sacraments, especially the sacrament of Penance and Reconciliation, rather than feeling anxiety about the sacraments. It is beneficial to remember that the sacraments are for us, our healing, and our growth. Concupiscence, an inclination to sin, remains after the new life we obtain at Baptism (CCC 1426). In the sacrament of Penance and Reconciliation we encounter the love and mercy of God (CCC 1428). We are called to conversion, and this sacrament helps us to journey with God as we work to lead a holy life, knowing we need God’s grace and strength in the process. Reconciliation is scheduled from 4:00 – 4:30 p.m. each Saturday. There are additional Reconciliation services scheduled during Lent and Advent. 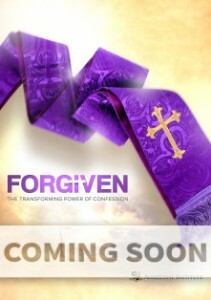 Coming soon through Formed.org will be a new program Forgiven through the Augustine Institute focused on Confession. It will provide an in depth look at the sacrament. Similar to the Reborn program for Baptism, this program will show the connections to Scripture and Tradition, as well as what happens step-by-step during the sacrament. See additional resources that cover both sacraments of healing below. The Anointing of the Sick, is “especially intended to strengthen those who are being tried by illness” (CCC 1511). People can receive the sacrament when they are in danger of death (sickness or old age) and the sacrament can be repeated (CCC 1514 and 1515). Session 4 of Symbolon part 2 and YDisciple Living the Creed focus on both sacraments of healing as essential and how they impact the lives of Catholics. Also available in Spanish. Session 5 of YDisciple Sacraments provides additional background. While the sacraments of initiation provide a common foundation for all Christians (CCC 1533), the common priesthood, the sacraments of service are particular consecrations (CCC 1535) that focus on the salvation of others (CCC 1534). There are three degrees of Holy Orders: episcopate (bishops), presbyterate (priests), and diaconate (deacons) (CCC 1536). “Through the ordained ministry, especially that of bishops and priests, the presence of Christ as head of the Church is made visible in the midst of the community of believers” (CCC 1549). Many of the resources on Formed.org focus on both sacraments of service. 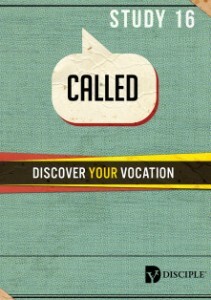 YDisciple Called focuses on discerning what God is calling us to do in our lives and a consideration of Vocation. The first two sessions focus on what a vocation and discernment are, followed by session 3 on Holy Orders, session 4 on Consecrated Life, and session 5 on Holy Matrimony. Session 5 in Symbolon Part 2 and YDisciple Living the Creed also explore the sacraments of healing. Also available in Spanish. We are called to love and be loved and through the vocation of marriage “mutual love becomes an image of the absolute and unfailing love with which God loves man” (CCC 1604). Jesus “himself gives the strength and grace to live marriage […]. It is by following Christ, renouncing themselves, and taking up their crosses that spouses will be able to ‘receive’ the original meaning of marriage and live it with the help of Christ” (CCC 1615). Preparation for marriage must begin at least six months prior to the wedding date. 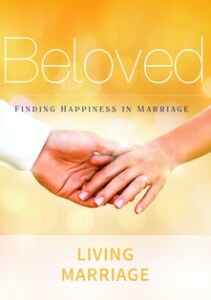 Aside from the resources mentioned above that address both sacraments of service, Beloved is a program through the Augustine Institute that focuses on marriage. 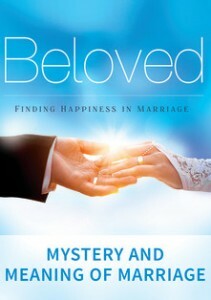 Part 1: Mystery and Meaning of Marriage has six sessions exploring the importance of marriage and the Catholic context of marriage as a sacrament. Part 2: Living Marriage provides six additional session to extend on the foundation laid in part 1 to understand the meaning of marriage to focus on the day-to-day life in marriage, with an emphasis on keeping faith at the core of the relationship.